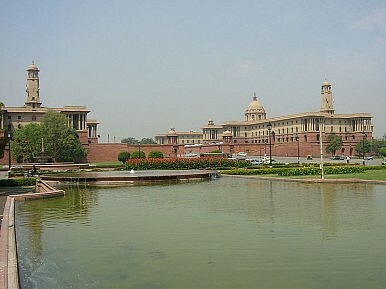 The UPA moves a draft Lokpal Bill in parliament – and quickly comes under fire from the opposition. The United Progressive Alliance government finally introduced a new draft of the Lokpal (Ombudsman) Bill in parliament Thursday, withdrawing the previous draft amid pandemonium in the house as members of different political parties objected to various provisions. As soon as Minister of State for Parliamentary Affairs V. Narayanasamy moved the new bill in the Lok Sabha, Leader of the Opposition Sushma Swaraj questioned why the Lokpal Bill provided reservations for minorities. She went on to lambast the government for not being serious about the anti-graft legislation and said the bill would be struck down by a court because reservations on the basis of religion are unconstitutional. She demanded that the new Lokpal Bill be withdrawn. Anti-corruption activist Anna Hazare was also quick to trash the bill, demanding that the government come up with a new draft. Former Railways Minister and President of the Rashtriya Janata Dal Lalu Prasad Yadav also demanded that the bill be reworked, a stand strongly supported by several parties including the Shiv Sena, the Samajwadi Party and the Biju Janata Dal that feel the government is unnecessarily bending over backwards for Hazare on the Lokpal issue – and in the process diluting the sovereignty of parliament. “If a bill is struck by courts it doesn’t mean that parliament doesn’t pass the bill. It is for the courts to judge the constitutionality of a bill. Our job is to make and pass the bill. Let the court do their job, we will do our job,” Mukherjee reportedly said. The bill will come up for discussion in both houses of parliament next week, but will likely require the assistance of the main opposition Bharatiya Janata Party and the Left parties to get passed. And, as I mentioned this week, Hazare is also scheduled to start his latest agitation from December 27. The recriminations have begun as the government and opposition blame each other for the Lokpal Bill collapse. UPA to Blink Over Lokpal?Singh Speaks on India's Independence DayAnna Hazare a Hindutva Project?Mumbai Next for Anna Hazare?Gandhi Outfoxing Hazare?